Presbyterian Manors of Mid-America has announced the winners of its annual, system-wide Art is Ageless® competition. 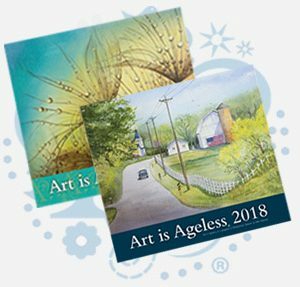 The works of more than 50 senior artists from Kansas and Missouri will be featured in the 2019 Art is Ageless calendar and greeting cards. 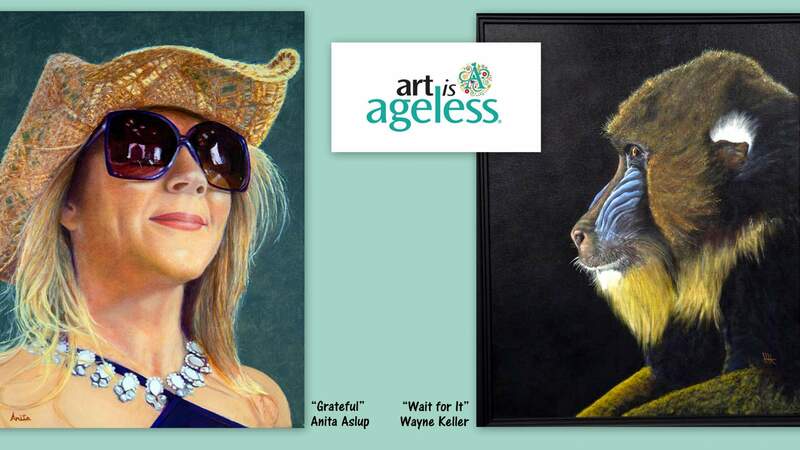 Art is Ageless is open exclusively to people age 65 and older. Competition pieces and works must have been completed in the past five years. 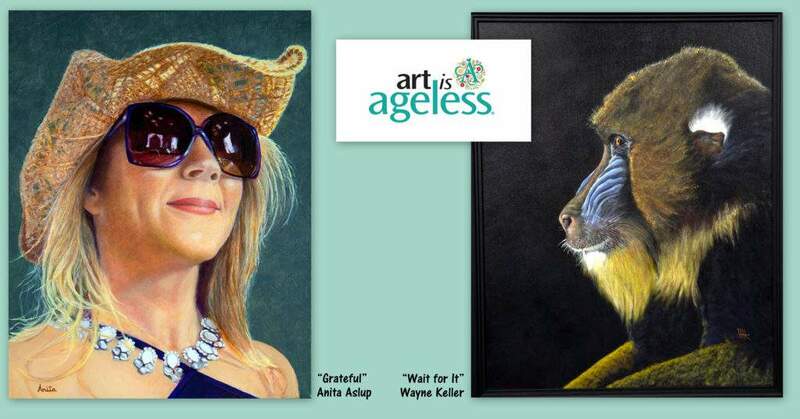 Artists not interested in competition were invited to enter the Art is Ageless exhibit only. More than 180 pieces were judged at the masterpiece level for inclusion in the calendar and Art is Ageless greeting cards. 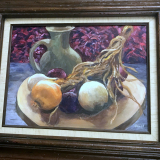 The Best in Show – Professional winner is Anita Aslup with her painting “Grateful.” Alsup entered the competition at Farmington Presbyterian Manor in Farmington, Mo. 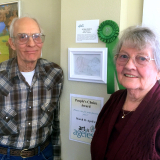 The Best in Show – Amateur winner is Wayne Keeler with his painting “Wait for It.” Keeler entered the competition at Salina Presbyterian Manor in Salina, Kan. The Art is Ageless program includes art classes, musical and dramatic events, educational opportunities and current events discussions on PMMA campuses throughout the year. Art is Ageless is a copyrighted program of Presbyterian Manors of Mid-America that started in 1980. Art is Ageless is an extension of Presbyterian Manors of Mid-America’s wellness programs, which focus on mental, physical, social and spiritual health. 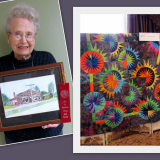 To be eligible for PMMA’s masterpiece level competition, artists entered a juried competition at one of 17 Presbyterian Manor communities in Kansas and Missouri. The chosen 2019 Art is Ageless calendar and greeting card artwork (below) includes amateur and professional entries selected from winning entries in nine categories. Greeting card winners are denoted with a (G) following their name. Christmas: “Christmas Winter Wonderland,” Lucille Butchart, Farmington (G); “Gabbie Sue Christsmas,” Maria Ctibor, Wichita; “Christmas Among The Birch Trees,” Shirley Dixon, Aberdeen Village (G); “Beautiful Christmas Night,” Nona Thompson, Emporia; “Welcome,” Linnette Jones, Manor of the Plains; and “Reindeer With Santa,” Kay Leckband, Salina (G). Drawing: “Memories by the Old Milk House,” Kay Ruen, Aberdeen Village; “Morning Fog,” Marjorie Swaim, Arkansas City; “Grandpa and His Granddaughters Feeding the Horses,” Juanita Rapp Wyman, Farmington; “Rose Garden,” Carol Davis, Wichita; “Kansas Sunflowers,” Carol Rondinelli, Aberdeen Village; “Wild, Wild Roses,” Kay Smalley, Emporia (G); “Deer,” Mary Ford, Manor of the Plains; “Funny Bunny,” Janice Miller, Parsons; “Summer Fun,” Jack Taylor, Topeka; “The Barn,” Susan Mayek, Topeka (G); “Storm is Coming,” Virginia McConnell, Arkansas City; and “Two Red Apples,” Barbara Stanfield, Farmington. Fiber Arts: “Round Table Topper,” Pat Tieben, Manor of the Plains. Mixed Media/Crafts: “Bouquet of Flowers,” June Yoder, Farmington; “Crowing Barnyard Rooster,” Dorothy Jeffries, Parsons; “Old Blue & Rust,” Lyn Kirk, Parsons (G); “Fan,” Frances Wood, Topeka; “Doodle Bugs,” Marianne Phillips, Aberdeen Heights; “Train,” Carl Hinds, Farmington (G); and “Writing Pens,” Maurice F. Cummings, Sterling. Needlework: “Old World Santa,” Kay Leckband, Salina. Ruth Koch, Aberdeen Heights; “Welcoming Lights,” Aggie Keesling, Fort Scott; “After a Hard Day’s Work in the Garden,” Richard McKinney, Fulton; “I Be Right Back,” Janice Miller, Parsons; and “Late Night Reading,” Skip Kreibach, Wichita. Photography: “Eighteenth Century Daily Life,” Mary Becker Smith, Newton; “Spirit Lifter,” Eweleen Good, Parsons (G); and “Rhino Landscape,” Cary Brinegar, Salina. 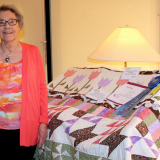 Quilting: “Jewel Box,” L. Deane Frey, Newton; “Crossroads,” Wilda Buffo, Arkansas City; “Barnyard Beauties,” Helen Nuzum, Fort Scott; “Patriotic,” Janet Heigele, Clay Center; and “Elephant Quilt,” Juanita Shepard, Parsons. Sculpture/3-D: “Iwo Jima,” Wayne VanSickle, Clay Center; “Meditation,” Linda Troxel, Lawrence; “Hodgeman County Barn,” William D. Herman, Manor of the Plains (G); and “Poppies in the Light,” Sophia deLaat, Rolla. The winners and 28 additional amateur works selected as honorable mention may be viewed online at ArtIsAgeless.org. The honorable mention works were selected to highlight the work of amateur artists throughout the Presbyterian Manor system.